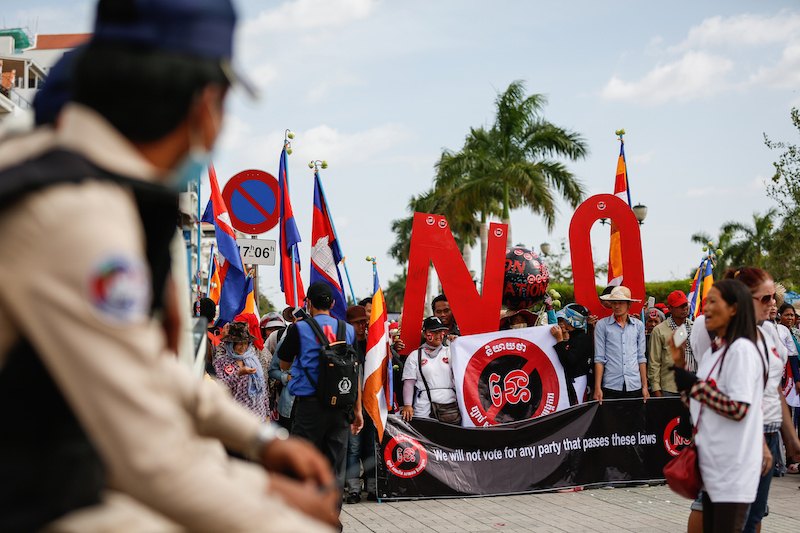 The CNRP is expected today to urge King Norodom Sihamoni to withhold his signature from a set of changes to the Law on Political Parties designed to sideline opposition figure Sam Rainsy. The opposition will deliver a letter to the Royal Palace today asking the king to refuse to sign the proposed law after it clears the CPP-friendly Constitutional Council, lawmaker Son Chhay said on Wednesday. Aside from violating human rights and the Constitution, the changes “will break the nation,” Mr. Chhay said. 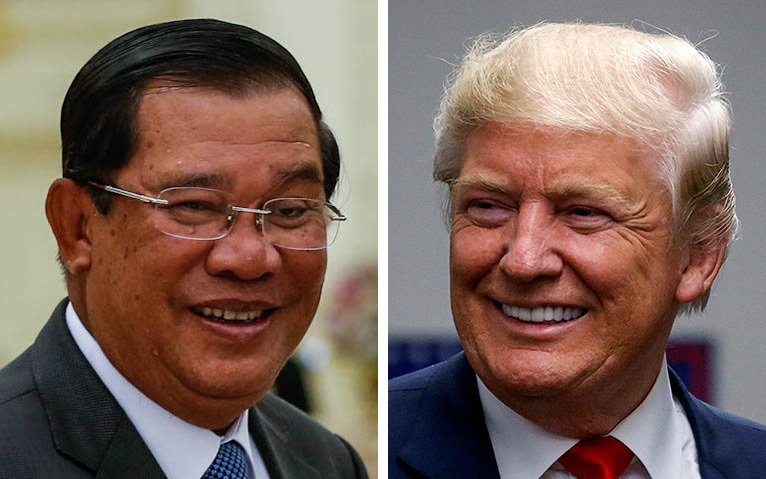 Prime Minister Hun Sen urged lawmakers to pass the law to sever the “convict” Mr. Rainsy’s ties to his old party, which he ran from exile until he resigned in anticipation of an earlier set of changes to the law passed in March. The latest changes would bar parties from collaborating with those convicted of crimes, including Mr. Rainsy, who faces a stack of court cases many decry as politically motivated. Though Mr. Chhay cited the example of the late King Norodom Sihanouk, whose medical visits abroad regularly coincided with the passage of contentious legislation, the Constitution only authorizes the king to sign, not veto, legislation. In the event the king is out of the country, the signing would move to the acting head of state—in this case, CPP stalwart and Senate President Say Chhum. That scenario played out in March, when Mr. Chhum signed the first round of amendments of the year while the king was in China for what officials said was a medical checkup. Oum Daravuth, an adviser to the royal family, said he was not aware of the CNRP’s plan and could not predict how the king would react. “No one, even Samdech prime minister, could predict or persuade the king’s decision,” Mr. Daravuth said. But Mr. Daravuth said he thought the CNRP’s proposal “looked down” on the king’s capacity to make up his own mind on the law, “because his majesty hasn’t express any word yet” one way or another. Speakers address a discussion on amendments to the Law on Political Parties at Phnom Penh’s Royal Academy of Cambodia on Wednesday, in a photo posted to the Facebook page of Sourn Serey Ratha. Even Prince Sisowath Thomico, the only member of the royal family openly aligned with the opposition, doubted the plan would succeed, saying that in prior cases where the opposition sought the king’s intervention, “we never hear a reply” from him. With the amendments now at the Constitutional Council, which theoretically has the power to send it back to the National Assembly, a group of 19 civil society organizations, including rights group Adhoc and the Cambodian Center for Human Rights, added to a growing chorus of criticism for the amendments in an analysis submitted to the council on Wednesday. 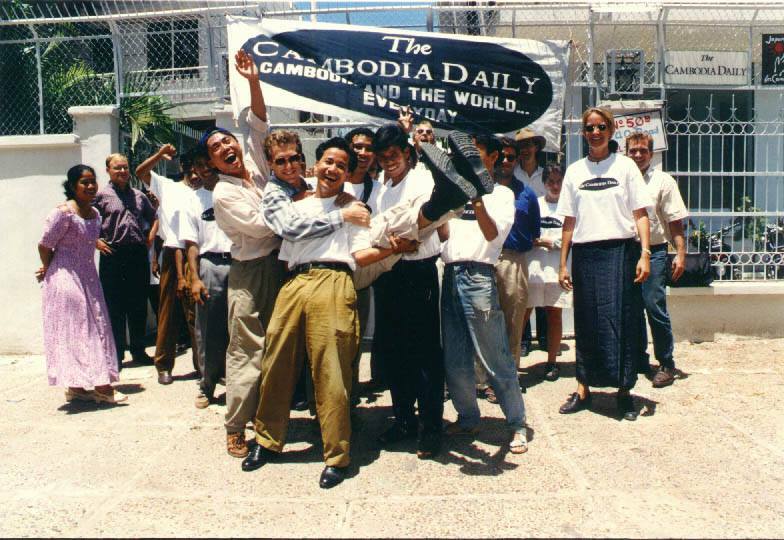 “We expressed our deep concerns that the exceptionally broad and overreaching powers granted to the Royal Government of Cambodia under the proposed amendment would subvert Cambodian democracy, and violate multiple provisions of the Constitution of the Kingdom of Cambodia, as well as Cambodia’s binding international human rights commitments,” the group wrote in a statement accompanying its analysis. Provisions of the law could hold parties liable for statements made by convicted criminals over whom they have no control, limit freedom of expression and assembly, and violate a number of key legal agreements, including the Constitution, Paris Peace Agreements, and the Universal Declaration of Human Rights, the groups said. Minor parties also denounced the changes at a forum organized by the Royal Academy in Phnom Penh on Wednesday. “Political parties must not be under the political influence of a convict because…we already know that a convict is a person who violates the law, and who is not a role model for society,” CPP spokesman Chhim Phal Virun said.